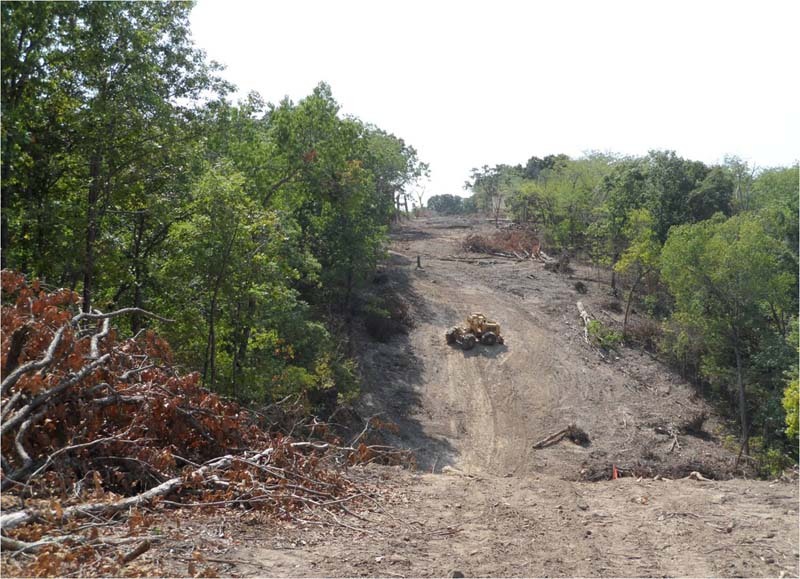 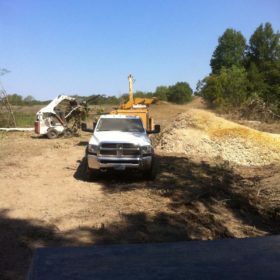 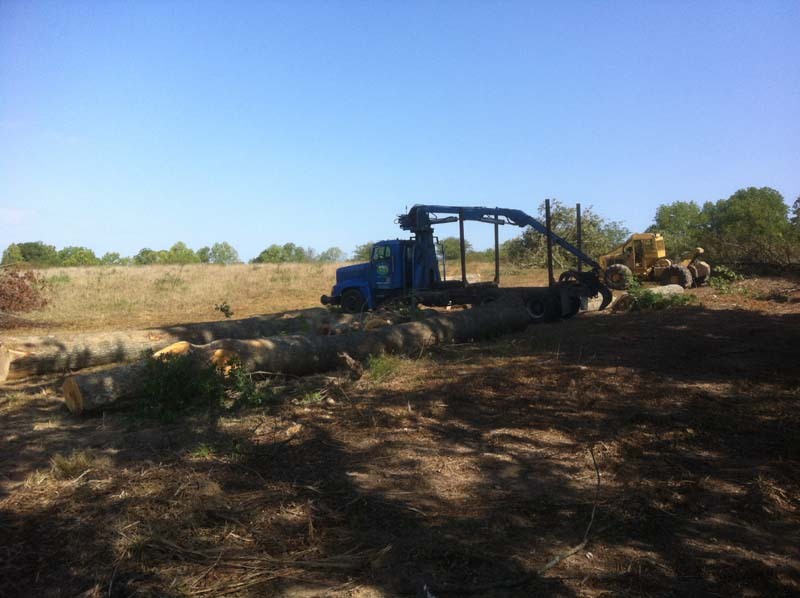 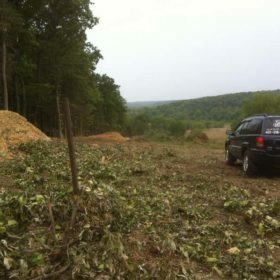 The following sequence of pictures are of a ROW clearing contract done for a new feeder line at Crocker MO. 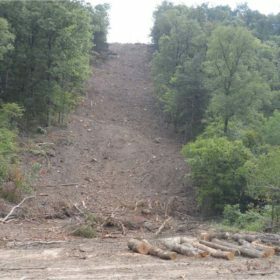 Great Views used a track loader sub-contractor for a few days on the steep ravines, a logger sub to remove really big trees because the large wood needed to be hauled off, and a sub for 2 days of final side trimming. 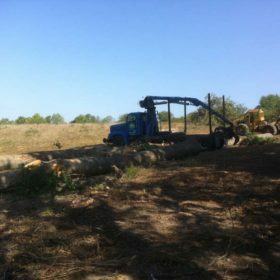 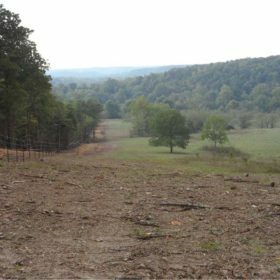 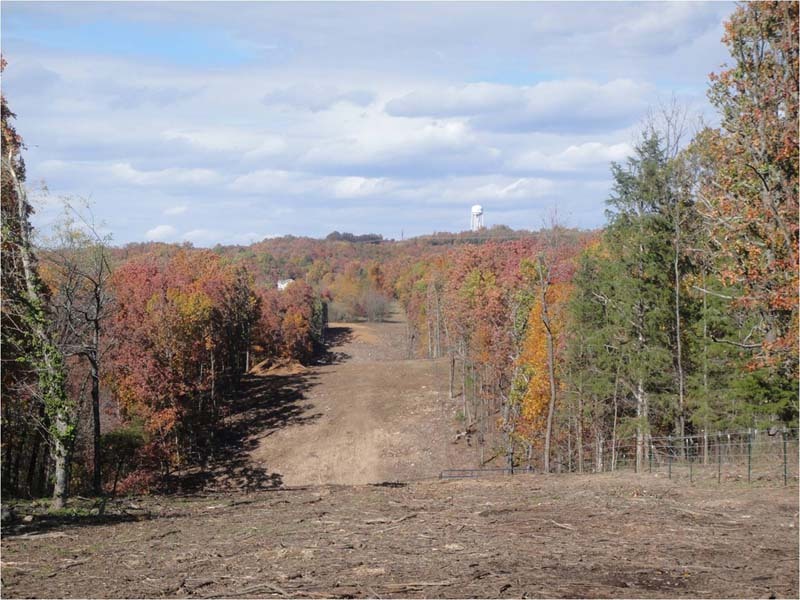 While the pictures don’t show our machines at work very much, 90% of the 2 mile long ROW was completed by our crew – on time and with both the electric utility and the land owners happy! 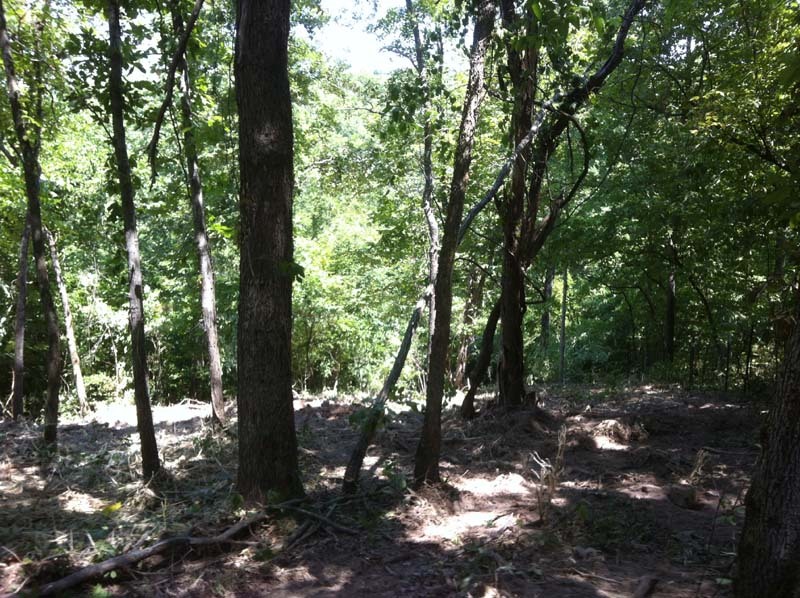 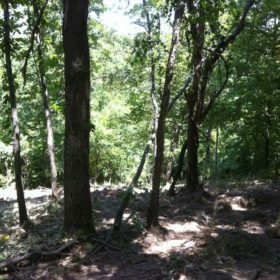 These first shots show the density of the woods before clearing the ROW. 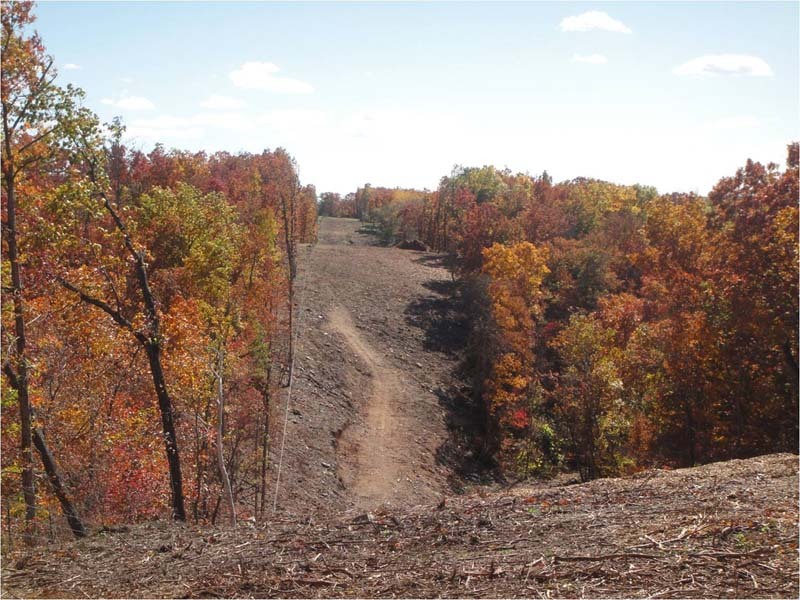 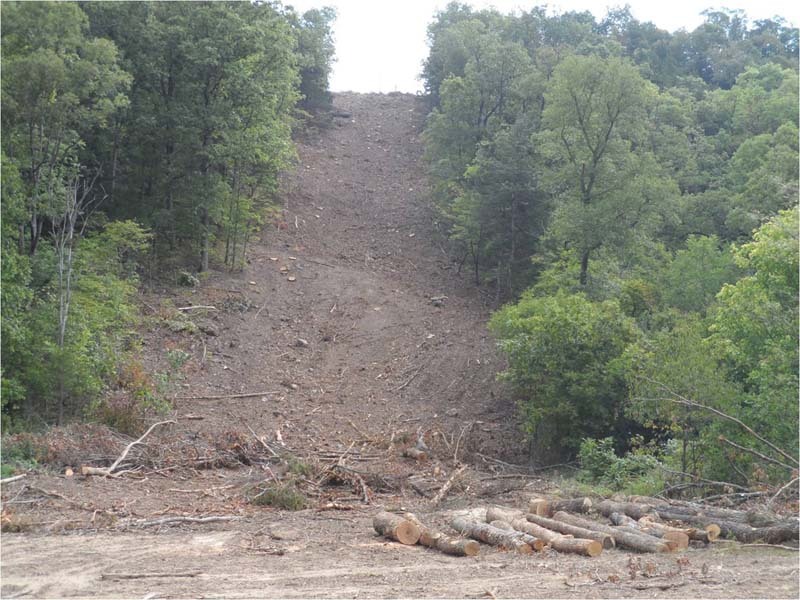 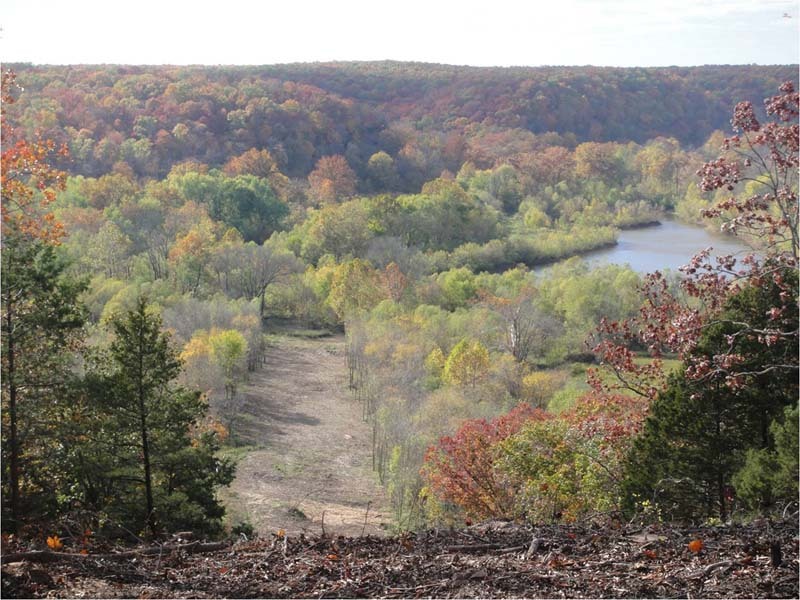 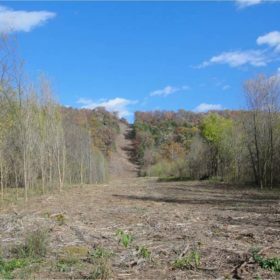 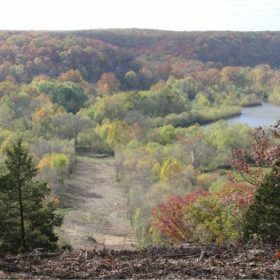 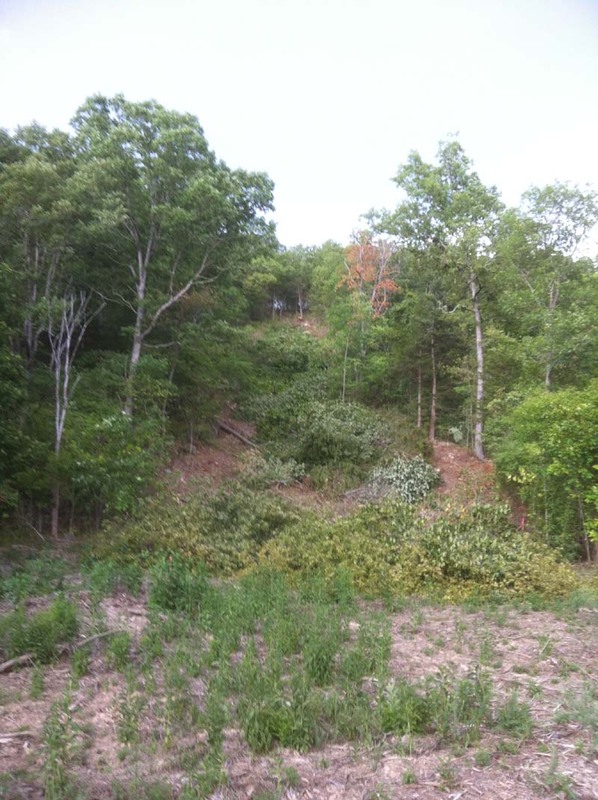 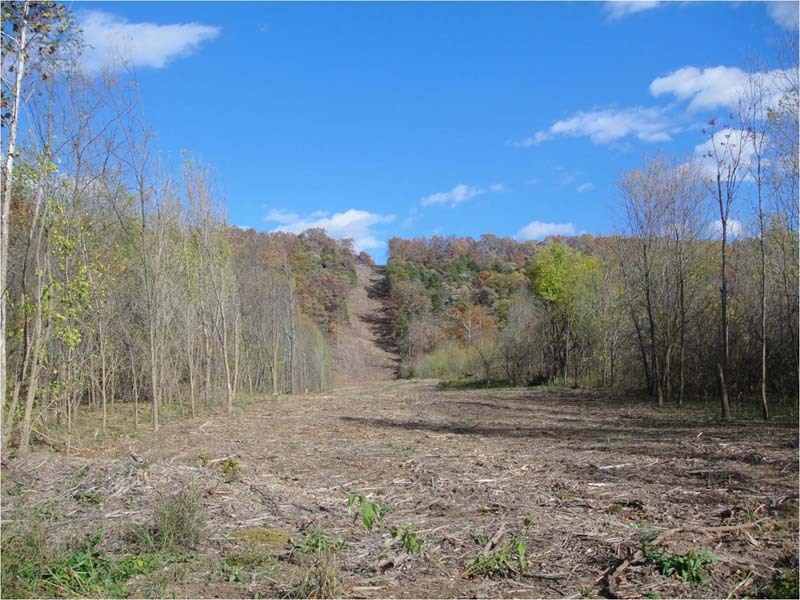 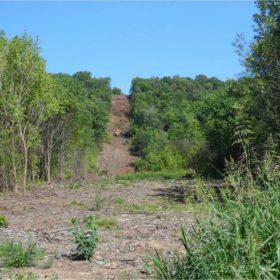 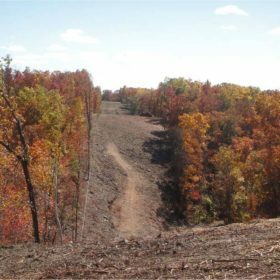 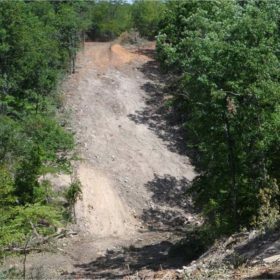 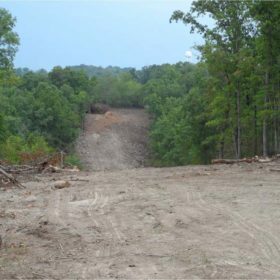 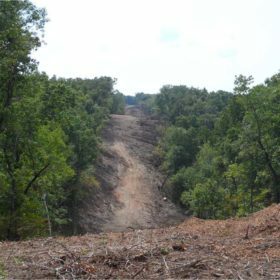 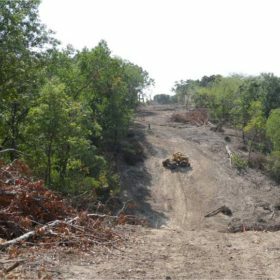 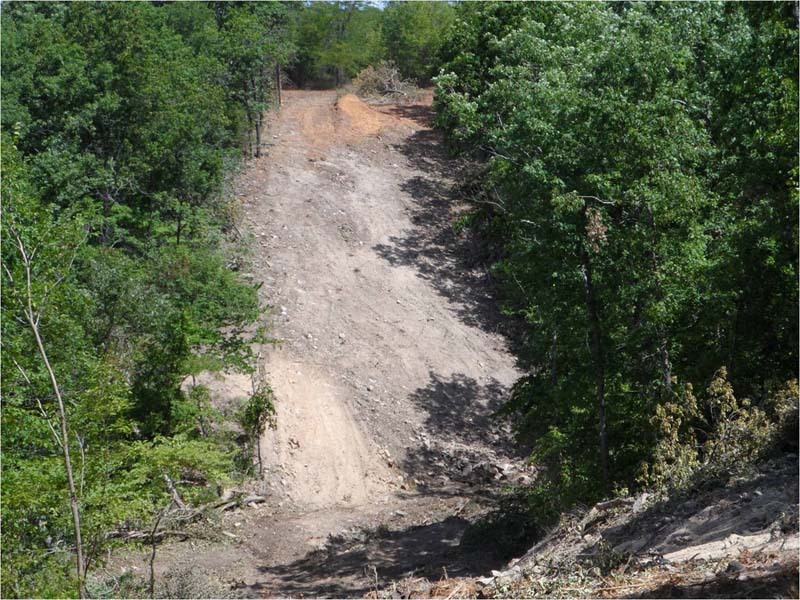 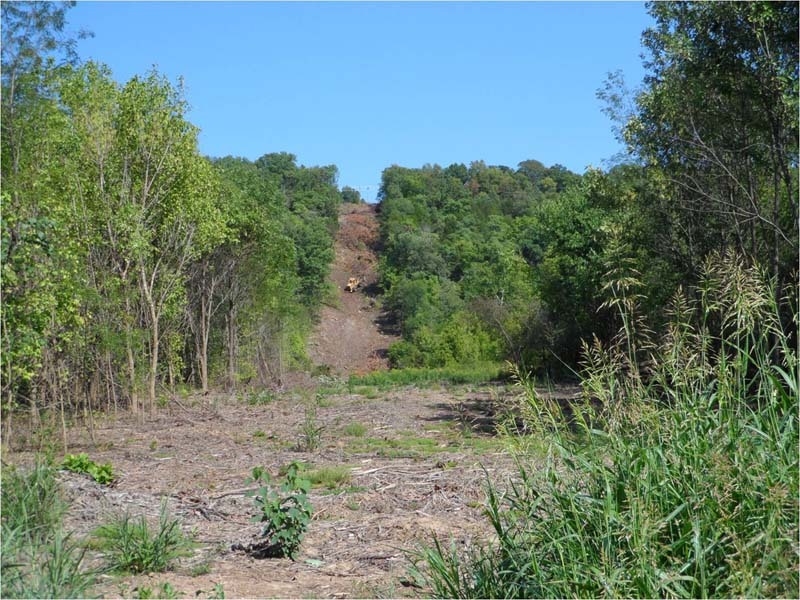 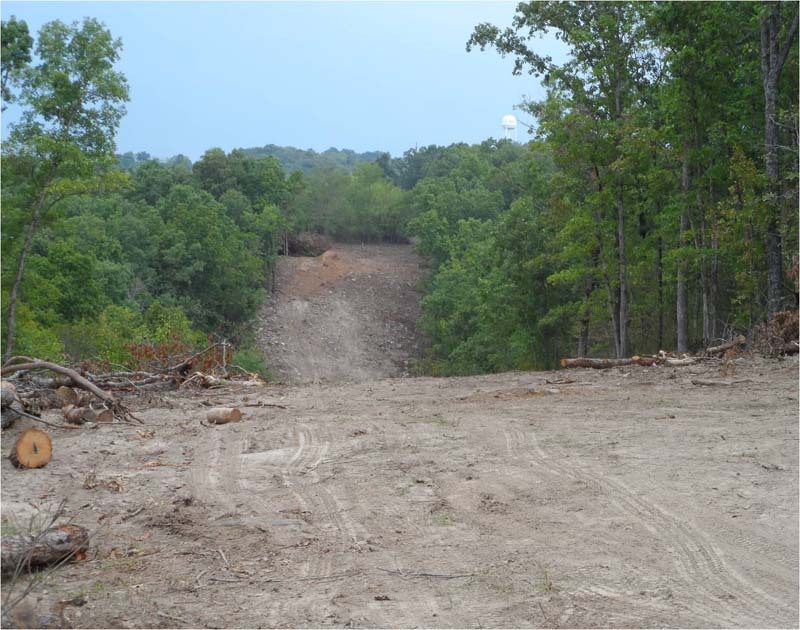 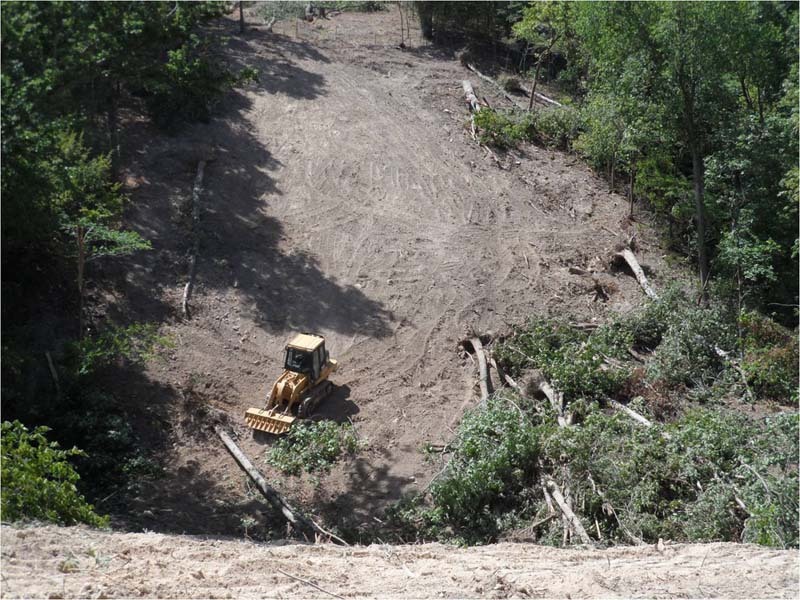 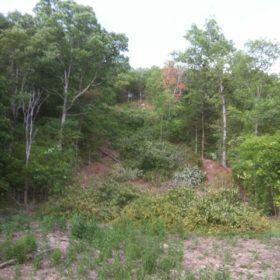 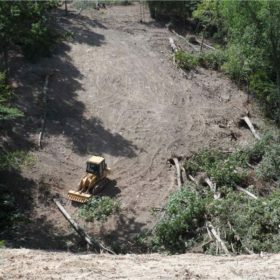 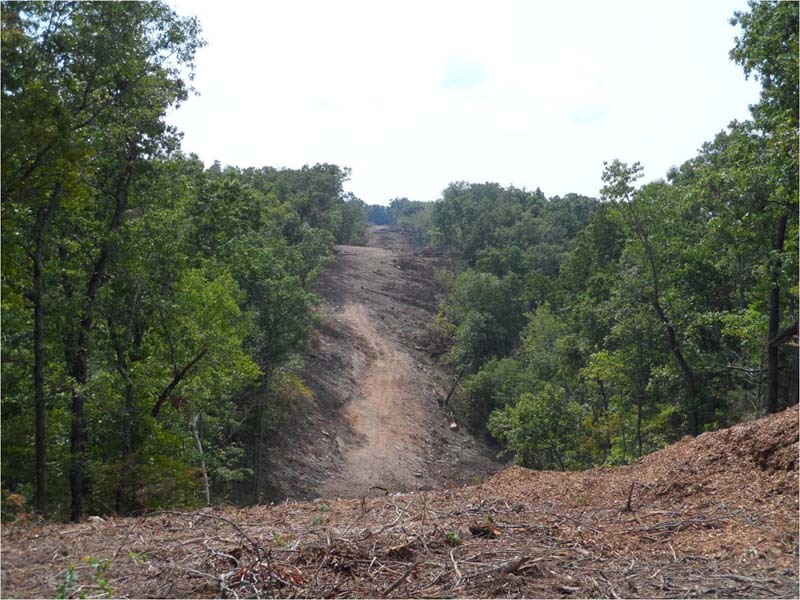 This sequence shows work being done on the 2 large ravine areas. 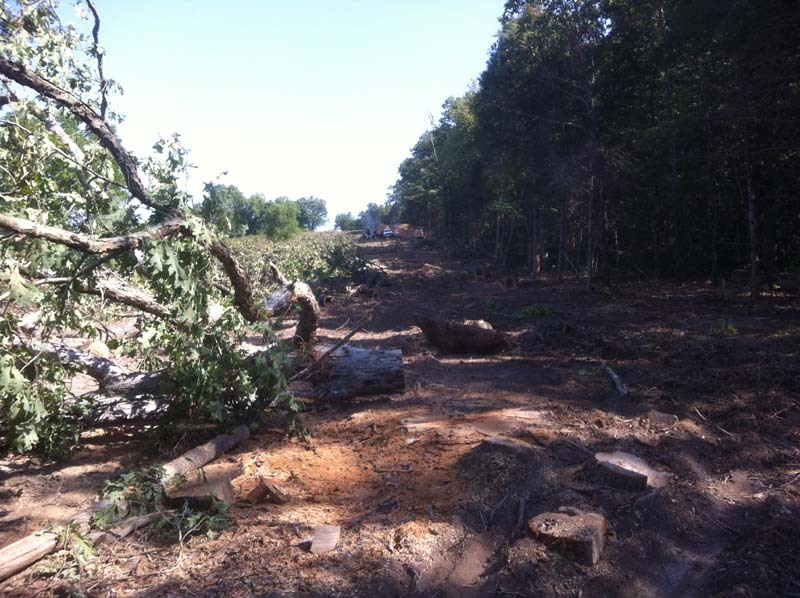 The track loader was used to cut a road and remove trees in that area so future vehicle traffic would be possible. 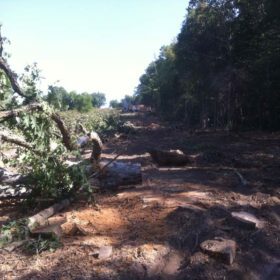 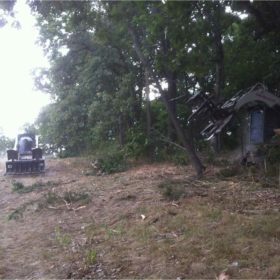 The skidder helped move trees to where the logs could be cut out and the tops chipped. 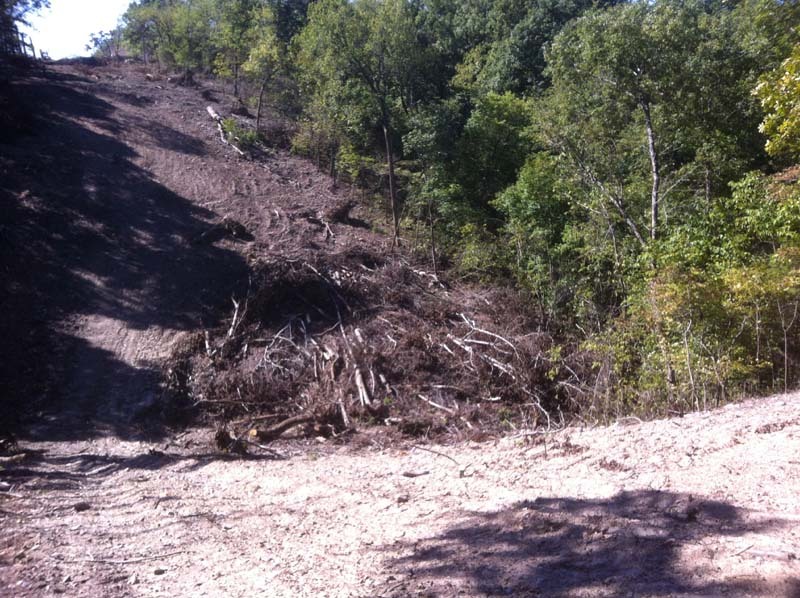 The last two pictures show the finished section after side trimming and clean-up. 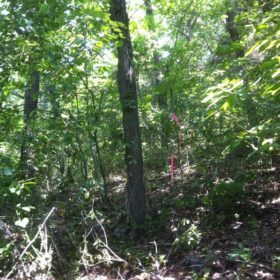 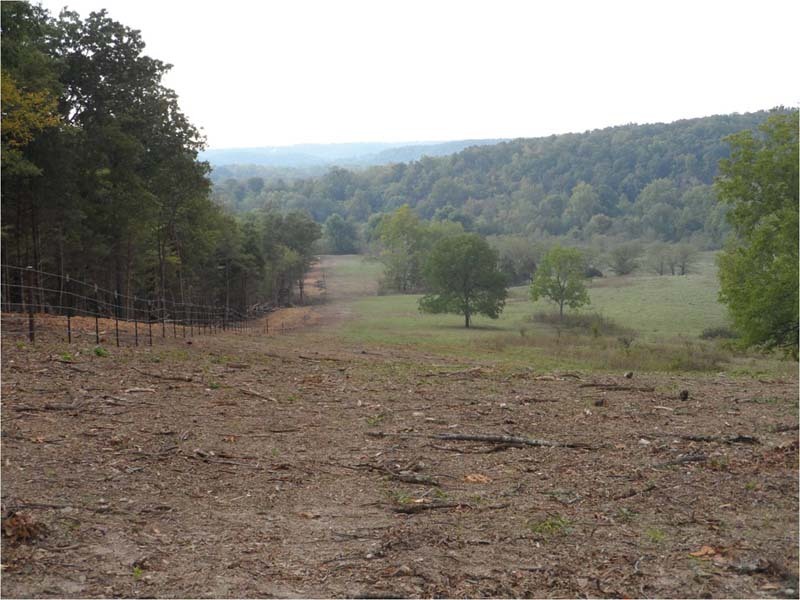 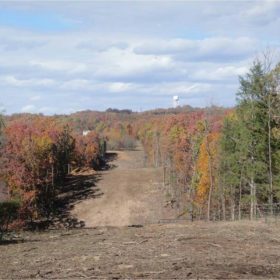 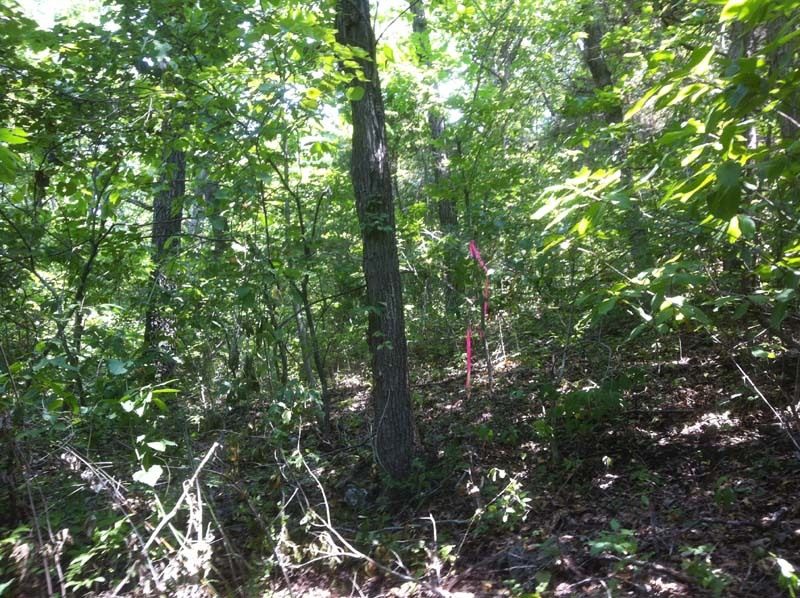 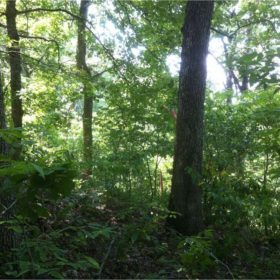 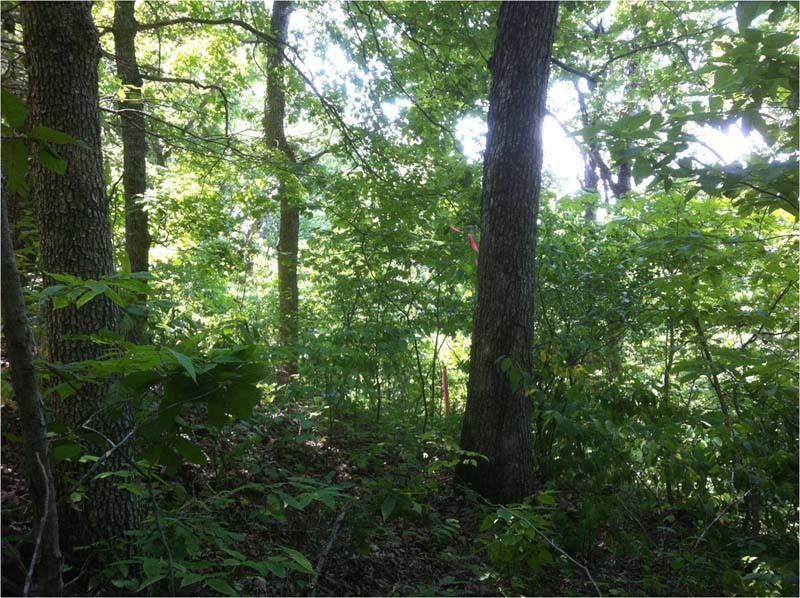 This group shows a long stretch where the ROW ran the edge of a field along a heavy woodline. 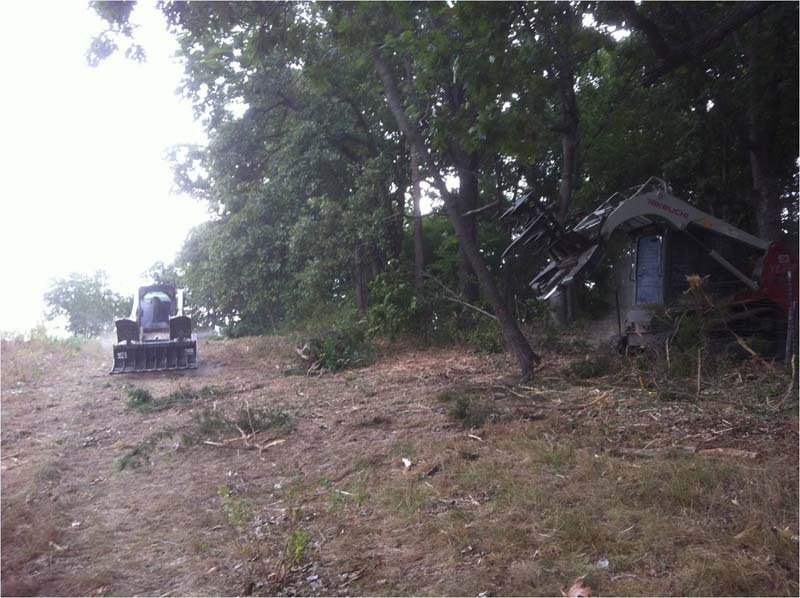 The woodline was moved back 30 feet past the ROW edge to remove danger of the large trees falling into the ROW. 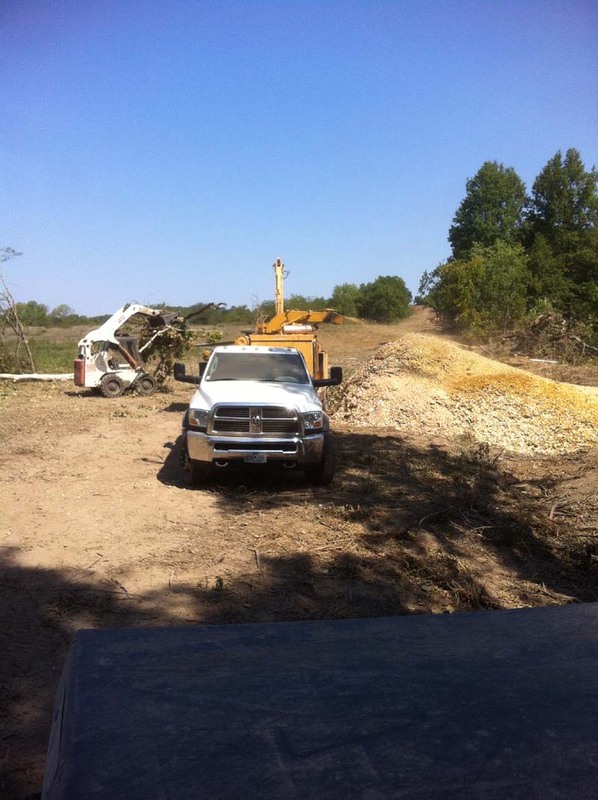 The logs were hauled off and tops chipped with medium wood left for member firewood. 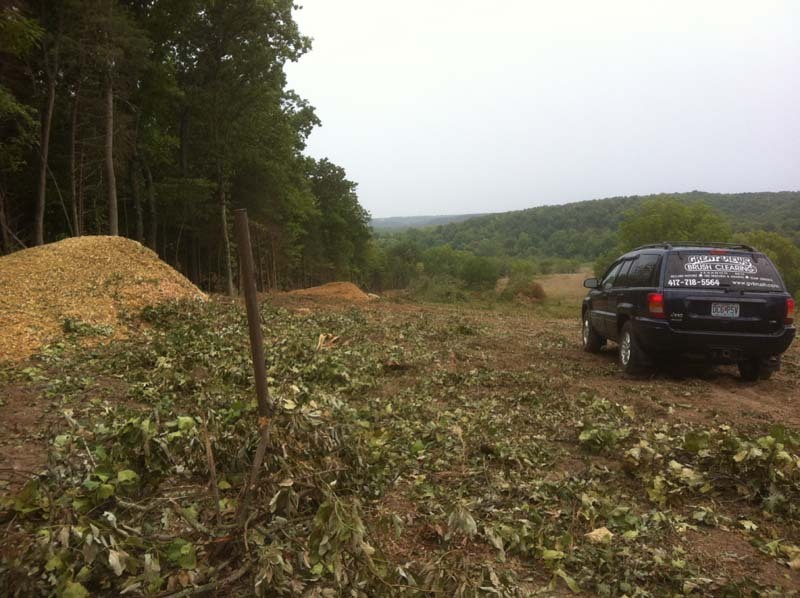 Here is the finished section after a new fence was installed for the land owners (not by Great Views). 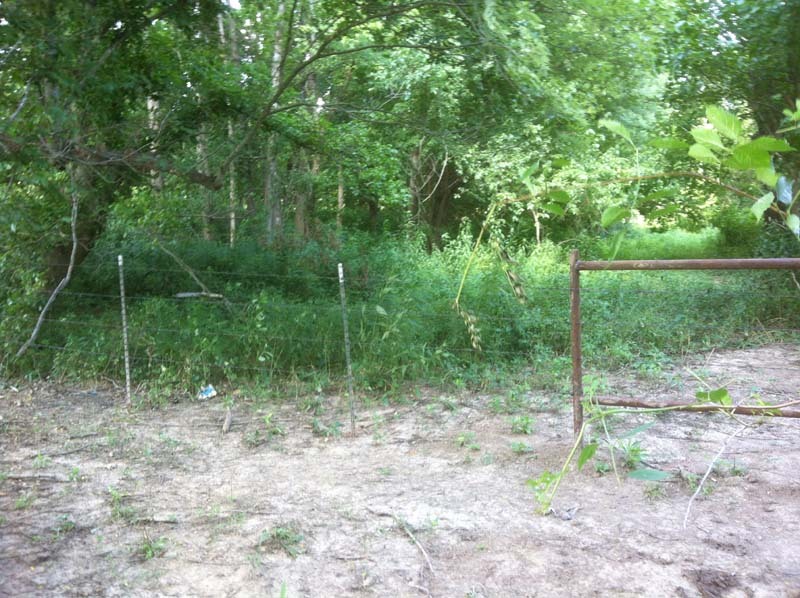 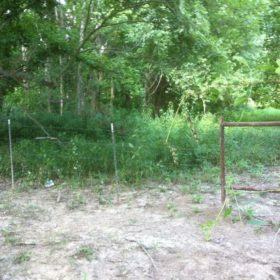 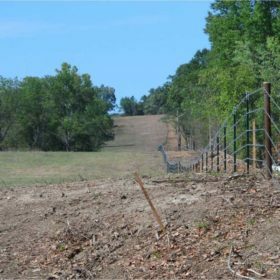 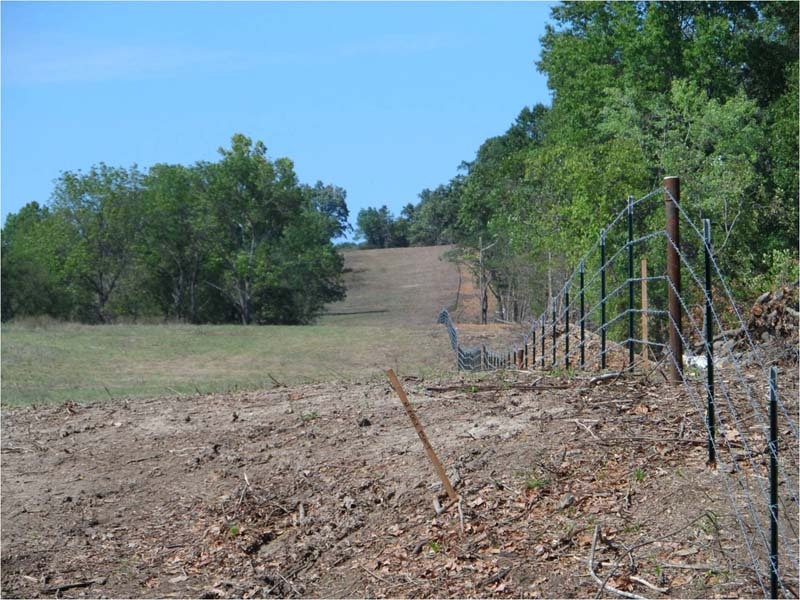 The ROW extends from the fence into the field, but now has a 30 foot buffer of cleared area between fence and woods. 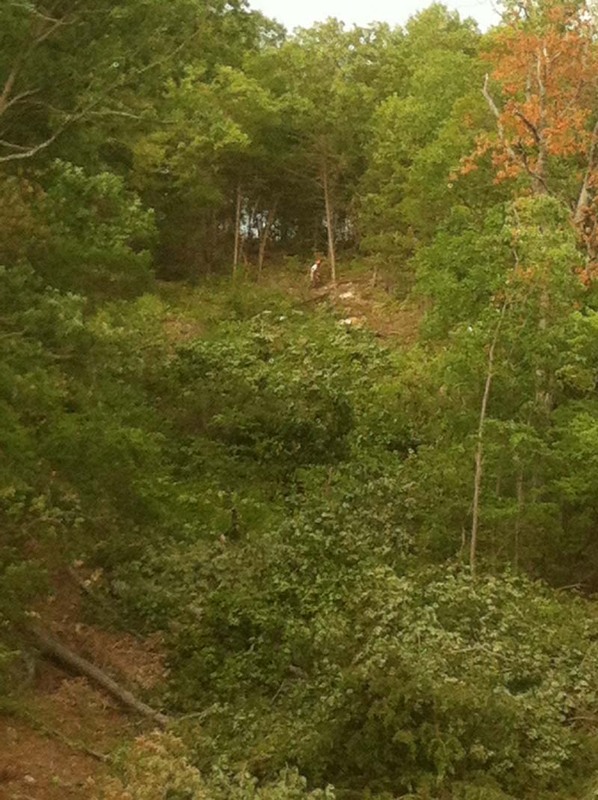 The final challenge on this ROW was a very steep hill going up to HWY 17. 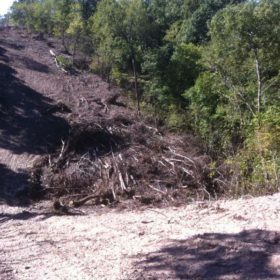 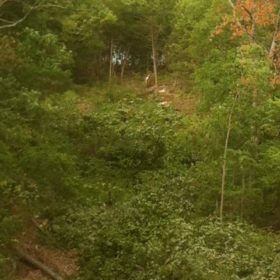 This hill was too steep for machinery to climb beyond halfway, so it was hand cut and the material dragged to the bottom for processing.